Kidney stones are stones that are composed of minerals such as calcium that clot and harden to be able to interfere with kidney performance. Calcium oxalate is one of the most common types of kidney stones. Actually, if kidney stones have a small size can not cause problems. New problems arise if kidney stones grow into a large can interfere with the performance of the kidneys can even block the ureter. Handling of kidney stones can be done in many ways. Ranging from the consumption of kidney stone crusher, fruits crusher kidney stone to perform surgery. However, if you continue to run the risk of kidney stone surgery. Despite the risks, surgery is considered quite powerful in removing kidney stones. Kidney stone surgery there are a variety of ways, the following will be described the type of operation of kidney stones are important to note. Kidney stone surgery using ESWL method is the most common method. This method can work well on small and medium-sized kidney stones. The procedure does not require surgery. The patient will be told to lie down and then the doctor will use X-rays to know the exact location of the kidney stone. Then the doctor exposes high-frequency waves into the patient's kidney. This wave can penetrate the skin and destroy kidney stones into a smaller size again. Next the doctor inserts the stent into the patient's ureteral tract, so that the broken kidney stone can be removed. The ESWL operating method usually does not last long, only about an hour. Patient can go home on the same day as the surgery. However, ESWL surgery still has side effects although rarely occurs. Among them are can cause cramps, infections, blood in the urine and blockage of the ureter channel. However, ESWL methods can still be an option because 99% effective to destroy stones diameter above 20mm. 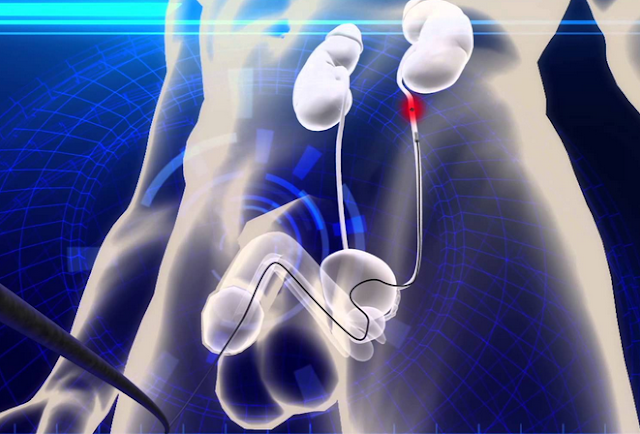 Similar to the ESWL method, the ureteroscopic method also does not require surgery. The way this method works is to use a small and flexible scope. The doctor will insert this scope into the kidneys through the bladder and ureter. If the size of the kidney stone is large, the lasser will be fired through this scope in order to break the stone into a smaller size. Patients do not feel pain because in a state of sleep. After surgery, the doctor will likely place the stent into the patient's ureteral tract so that the urine can flow from the kidneys to the bladder. Within 4 to 10 days the patient will return to the doctor to remove this stent. Postoperative effects with ureteroscopy method are narrowing of ureteral tract, bleeding and infection. PCNL method can be an alternative to solve relatively large kidney stones. PCNL is also reliable if the implementation of ESWL methods in some cases can not run smoothly, for example because the patient is obese. The PCNL method can be done using a telescopic-sized device called a nephroscope. A small incision will be made behind the patient's body, then a nephroscope device will be inserted through the incision to the kidneys. Kidney stones can be drawn using a vacuum on the tool. Can also be destroyed by using the existing laser on the tool. The PCNL method has a successful presentation of up to 86% in kidney stones that have a diameter of 21-30 mm. Open operations are rarely done (only 1% of cases really need open surgery). Conditions that allow open surgery is if the kidney stones are found in a very large size, kidney stones are involved in the ureter, blocking the flow of urine, patients feel very painful and other abnormal circumstances. During the operation an incision will be made on the back of the patient's body for the kidneys and ureter to be reached, then the kidney stones will be removed. This electrohydraulic lithotripsy method is powerful enough to destroy small kidney stones. The way it works is by using waves formed from electric power. The doctor places a flexible probe close to the kidney stones using a uretereoscope. Furthermore, rock fragments can be destroyed by electric current. This method is suitable for destroying existing kidney stones anywhere in the urinary tract. Are Side Effect Of Influenza Vaccine Is Harmful To Children?